Why should I depot makeup? 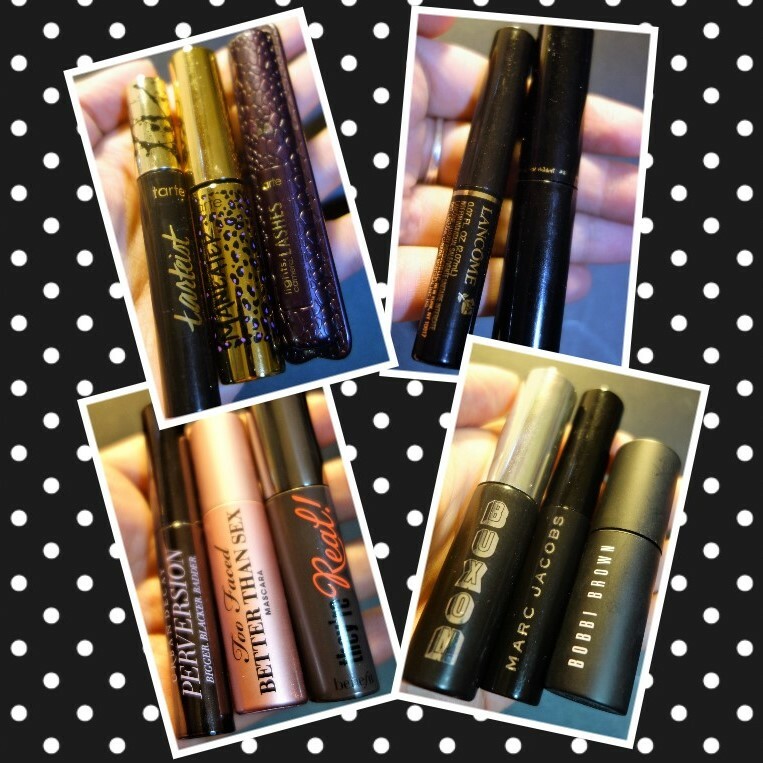 This is the second post in my series on depotting makeup. Yesterday I wrote about depotting in general, explaining the terminology. Today’s post will go into more detail on the key reasons to depot your makeup. There are four main reasons to depot your makeup: Space, Time, Product, and Visual. In 2017, I got the Tarte Holiday Eyeshadow Palette. 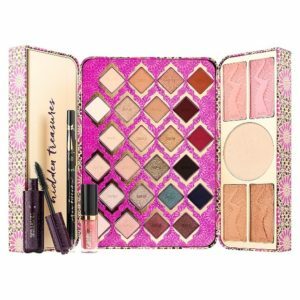 It was a beautiful treasure box of eyeshadows, blushes, bronzers, highlighters, eyeliner and more. However, I never used it. Despite its beautiful packaging, a richly patterned pink, I only opened it once in a while to smell the sweet vanilla fragrance of Tarte products. The packaging was just too bulky to be practical in the small area where I did my makeup. Finally, I committed to depotting the entire palette, an endeavor that took almost an hour. 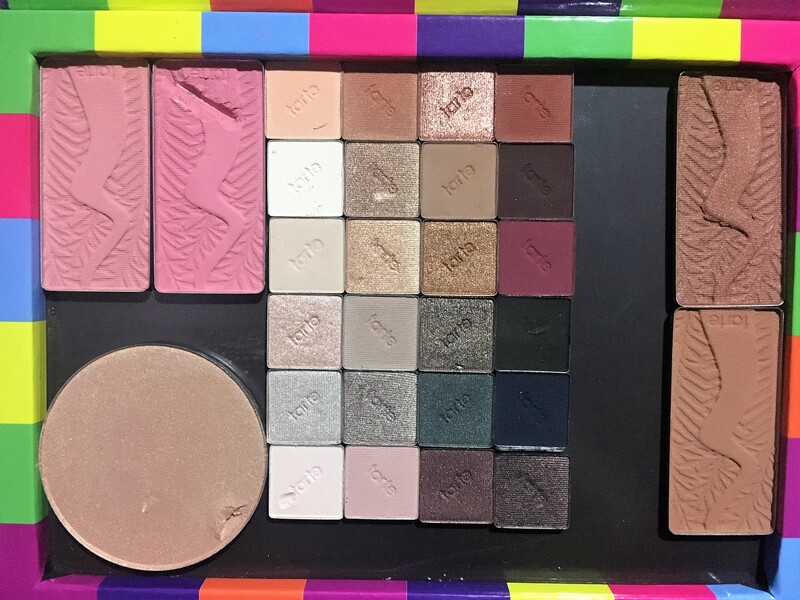 Finally, with all of my eyeshadows labeled and aligned in a flat Z-palette, I could see the coherent color story of each line of eyeshadow that I had missed before. In addition, the compact packaging meant I was more likely to reach for these shades. Suddenly I was getting regular use out of this product that I’d spent nearly $60 on almost a year prior. In the above story about my Tarte palette, I ended up creating a single Z-palette (magnetic palette) that had the key powder products I need for a full face: eyeshadow, blush, bronzer, highlight. 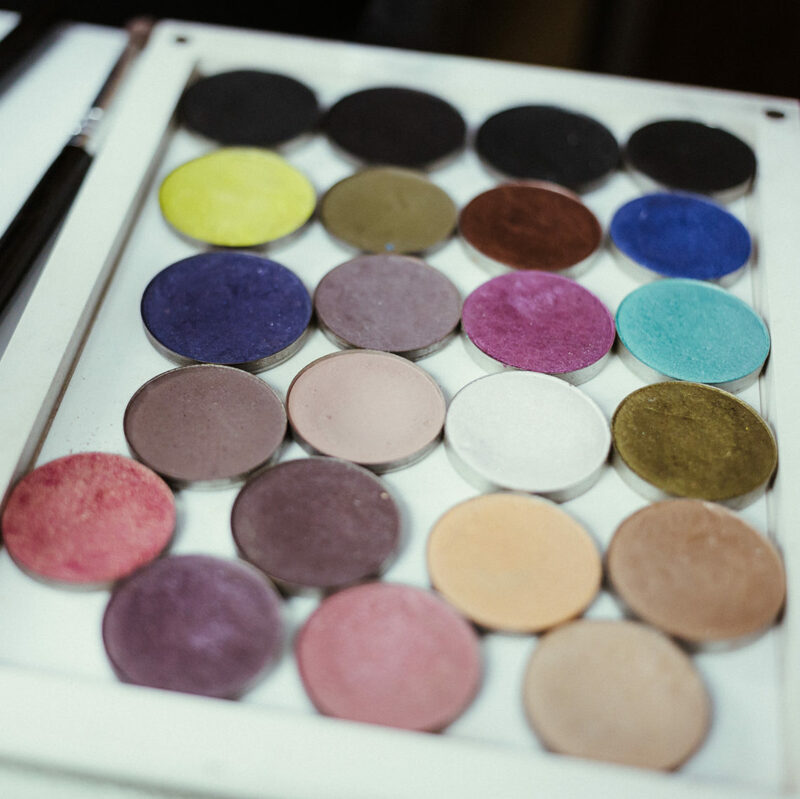 Imagine a small palette customized to exactly your favorite shades. Your favorite blush, your favorite eyeshadows, that one brightening undereye powder you swear by. No matter what your makeup routine is like, many people may find their process improved by minimizing the factors involved. 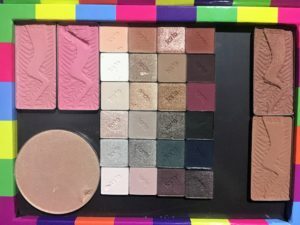 Depotting your favorite items from their containers–even single containers–allows you to create a condensed palette of just the look you love. It simplifies your routine, eliminates extra time and decision making in the morning, and generally makes your makeup more efficient. Furthermore, simplifying that routine may make you more likely to utilize your makeup. Since makeup tragically does expire, formulas change, and products go bad, the more you can utilize your products before they go bad, the more value you’ll get out of your makeup purchases. Especially with palettes from Boxycharm, which have varying quality, some eyeshadows don’t resonate with me. Maybe that brown matte shade has too much of a gray undertone and never looks good on me. Maybe that gold has too much of red shift. Maybe that soft pink has no lasting power, no matter what do. Maybe I’ll just never get use out of that pretty olive green, even though it’s very pretty. There are shades that never work. Maybe it’s the formula, maybe it’s the finish, maybe its a personal preference. But in a few situations, I’ve found that of a nine-pan makeup palette, there may be only four or five shades I like enough to keep and four or five I could live without entirely. Because half of the palette is worthless to me, I never reach for the palette as a whole. But, once I depot my favorites and move them into one Z-palette with all my favorite shades, then I get use out of them. One of my favorite depotting videos is when Georgia Harris rearranges the Kat von D Saint and Sinner palette. 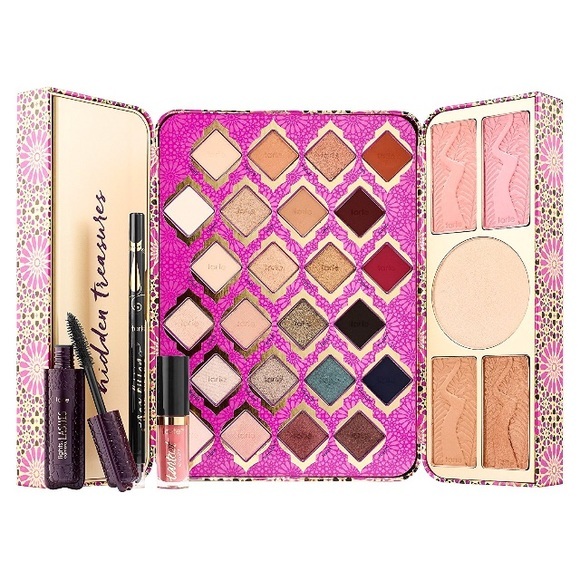 This palette originally had a beautiful stained glass arrangement that was very marketable, but was harder for the average makeup user/consumer to easily create “a look” from. The same is true of my Tarte 2017 holiday palette. Each line of makeup was clearly designated as a coherent “look” making it simple to use. But when the eyeshadows were in their bright pink packaging, arranged as diamonds, I could never see that. It took me removing the shades and aligning them flush against each other to see the intent of the original design. This alone has made me want to use this palette so much more. Each eye look is nearly guaranteed to be perfect in color scheme. All I have to worry about is not messing up my technique! Those are the four main categories for reasons to depot things. There may be additional reasons, but they all fall under these main four. If you love all the shades in your palette or you love packaging, then maybe depotting isn’t for you. But if you’re trying to embrace a minimalistic approach that encourages you to use your makeup more frequently and more easily, then depotting is something to consider.